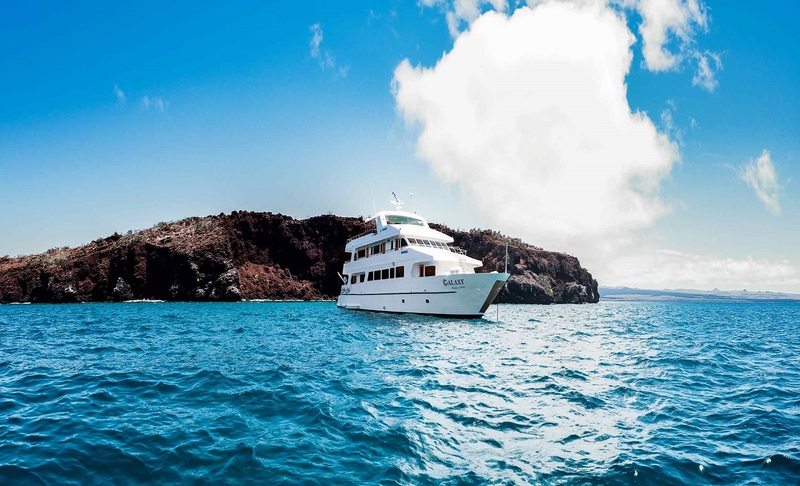 Cruise through the popular eastern islands of the Galapagos on this 5 day cruise aboard the exceptional Galaxy Yacht. 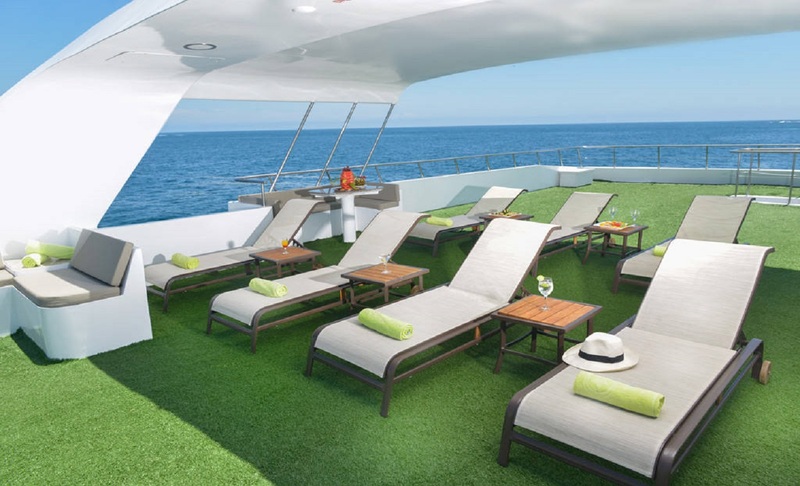 Enjoy opportunities for different activities such as swimming, snorkelling and sightseeing at the different locations we will be stopping by. 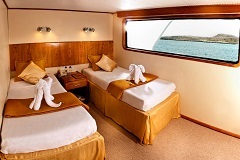 Admire the unique flora and fauna of the Galapagos and explore the islets surrounding it. Arrive at San Cristobal airport. Reception at airport. Transfer in. Welcome on board Galaxy Cruise along with a welcome drink and lunch. 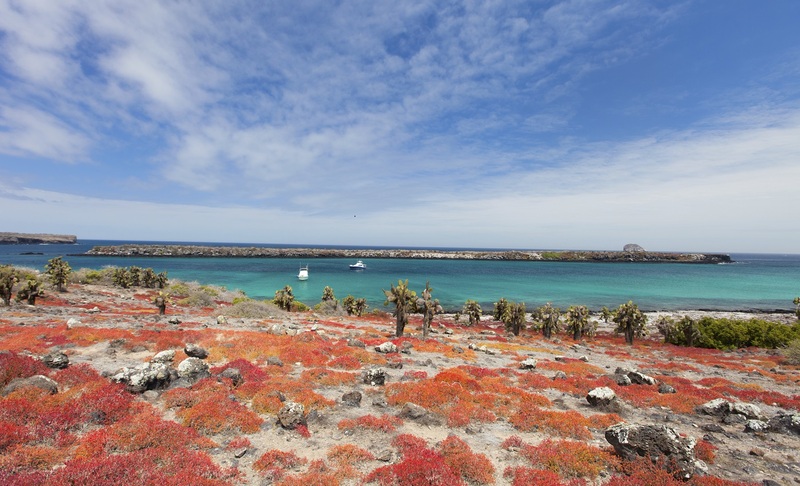 San Cristobal is the habitat of seals, frigates, finches, marine iguanas, lava lizards, and the small endemic Galapagos snake. Here, we can swim and snorkelling in the same place. Leon Dormido: This is formed by two rocks of approximately 148m above sea level named thus by its similitude with a lion we will pass between both rocks but we will not disembark because is not possible to do so. Dry landing at Suarez Point. There's nothing more amazing and outstanding than the colourful blue-footed boobies in this tropical desert island. Here, we can admire the beauty of this bird f as its nests and feeds on the many areas located along the coast. Another famous bird on the island is the Albatross. 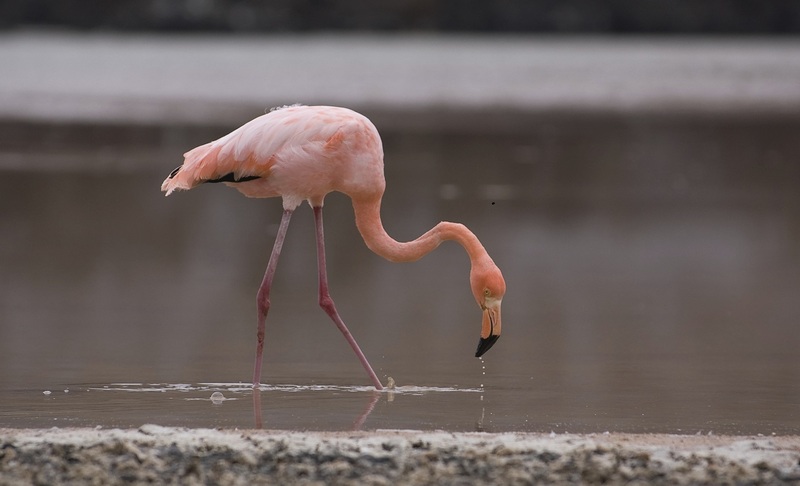 Having a weight of about three to four kilograms and a wingspan of approximately two metres long, this creature of aristocratic nature is one of the largest birds on the island. 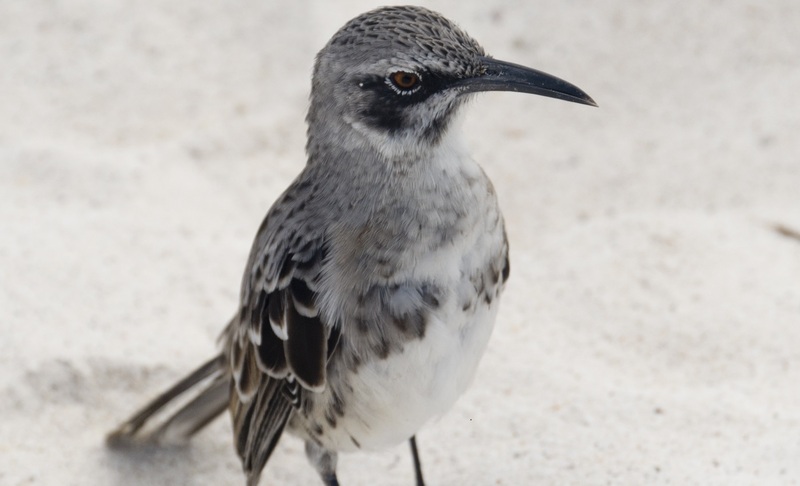 An estimate of about twelve thousand birds have their nests on the Españonal Island (some are located on Silver Island near of main land Ecuador). During our walk, not only will you be able to observe these fantastic birds but also admire the beautiful landscape that the island has to offer. Other inhabitants of this area, unique only to the island, includes colonies of marine iguanas, zayapas, mask boobies, finches, Española cucuves, and seagulls. As we continue our tour, we will be walking through the lava rock path where we will be able to see the famous hollow blowers. Wet landing. Post Office Bay is situated on the northern part of Floreana Island. During our tour, there will be a short walk and an opportunity for people to swim and go snorkelling. You will also have the opportunity here to send some postcards to your friends and family. Wet landing in Santa Fe Island. 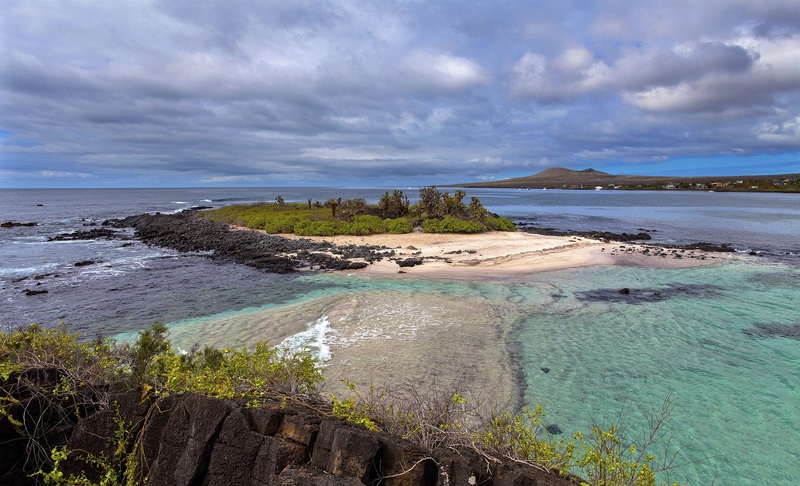 With a sixty meter height above sea level, this island is home to some of the most unique places in the Galapagos. 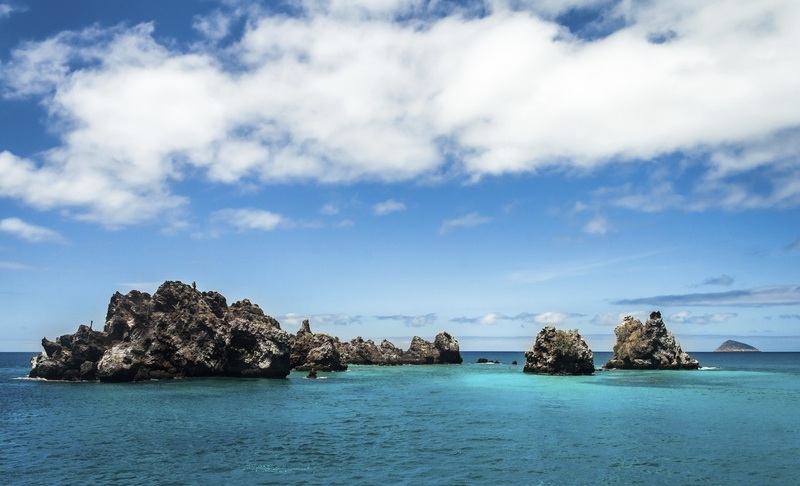 Here you will see an incredible bay with turquoise water protected by a natural barrier of rocks and from which you can appreciate colonies of seals and hawks flying over. 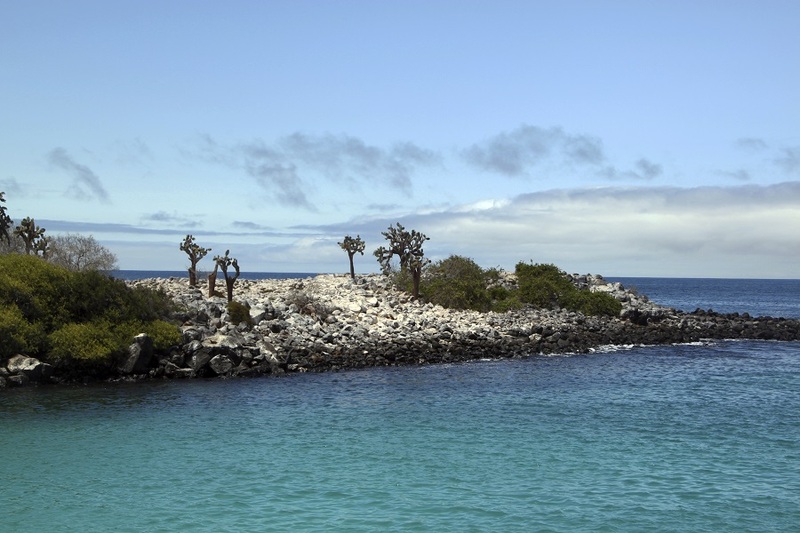 It is also home to one of the two species of land iguanas found on this island whose main diet consists of leaves, large fruits and thick cactus. The Bay is excellent place to swim and to go snorkelling. 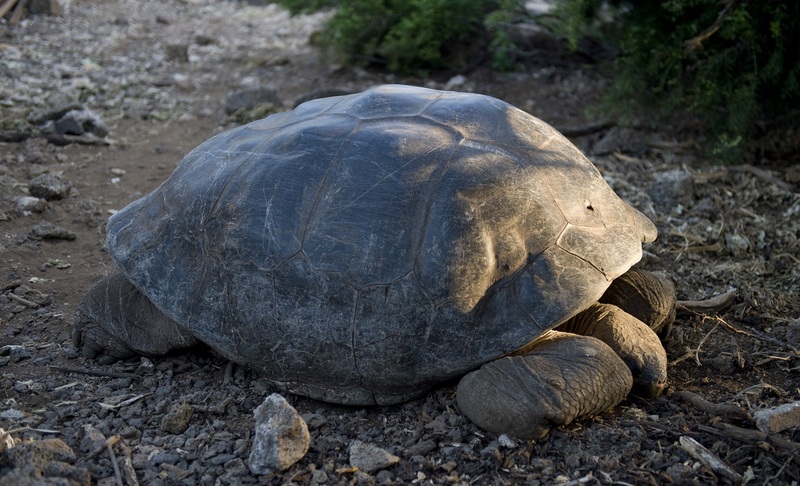 If you're lucky, you might be joined with marine tortoises, rays, sea lions and tropical fishes. 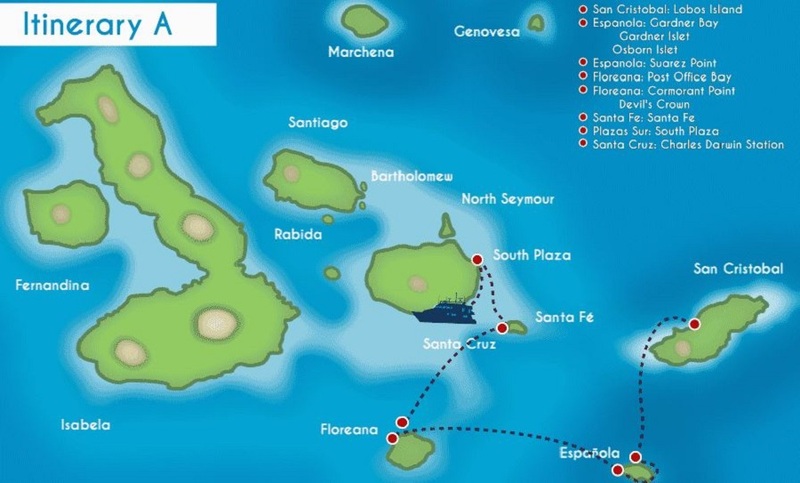 After lunch, we will be heading out towards the South Plaza Island. The island is made up of two small islands, created by an uplift. During our hike along the extraordinary cliff, you will be able to observe several sea birds nests. 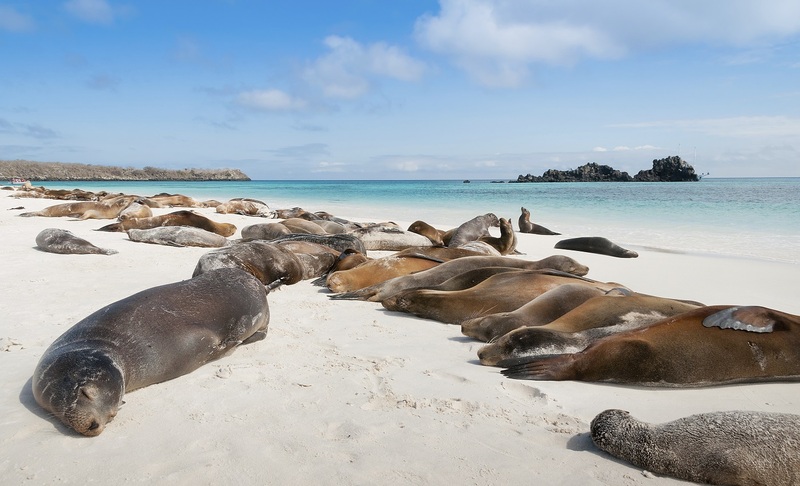 You will also be able to see sea lions located on the south side of the Plaza which, according to locals, are approximately 1,000 in number. We take our breakfast very early in the morning. 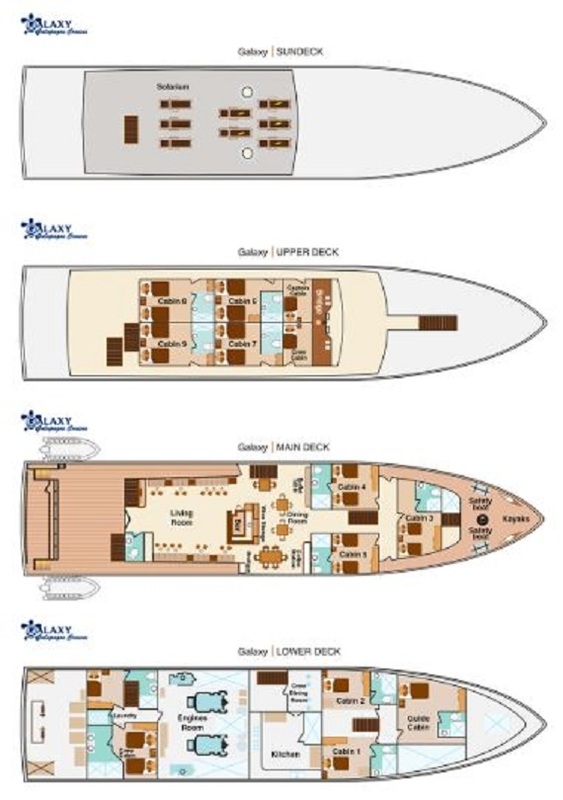 Our luggage and all your belongings should be list to check out in the ship before leaving for out last visit.